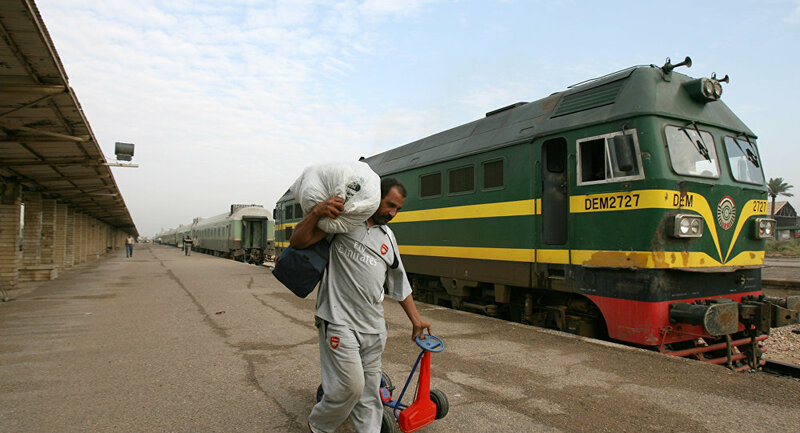 The Iraqi Republic Railways Company has announced that it will be holding talks with Syria and Iran in regards to extending a railway connecting Iran's Shalamcheh region and the Iraqi city of Basra to Syria, the news website al-Sumeria reported on 12 April. The purpose of the project is to link the Persian Gulf with the Mediterranean by means of a transnational railroad connecting the three states. The Shalamcheh-Basra railway project, on which the initiative is based, was agreed upon by Iran and Iraq last month and has an estimated cost of 2.22 billion Rials. Exports from Iran to Iraq, which includes food, machinery, electricity, and gas amounted to $8.7 billion in 2018, with bilateral trade expected to reach $20 billion in the coming years. Iran and Syria have also recently reached a number of "long-term strategic economic cooperation" agreements in the spheres of industry, trade, and agriculture. Tehran has been providing military advisory support to Damascus over the past several years, helping it fight numerous terrorist groups in its territory.